If you want to spice mom’s brunch up a bit, take her to Tacos & Tequila at Luxor for the Mariachi brunch from 11 a.m. to 3 p.m. 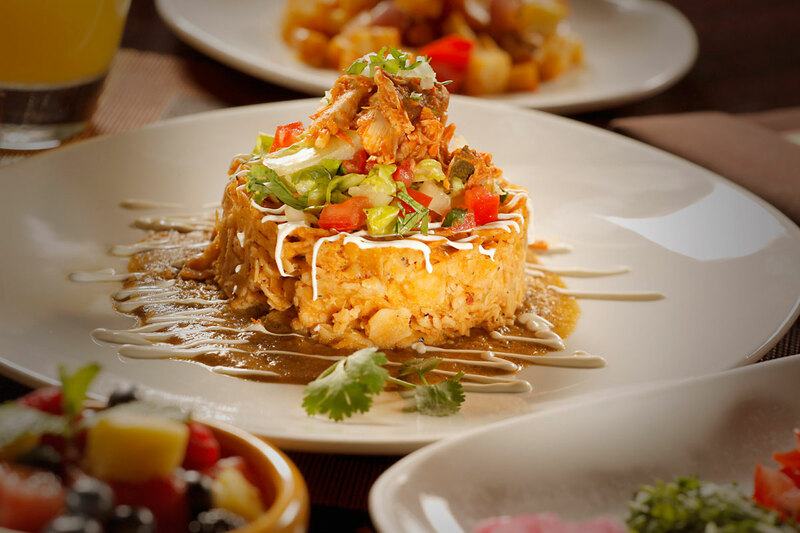 Listen to festive music and nosh on signature items including breakfast burritos, chilaquiles, huevos con chorizo and steak and eggs. All moms will receive complimentary Morenita Brownie Bites, which are chocolate morsels served with cinnamon ice cream and topped with cajeta and chocolate sauce. Mediterranean hot spot Cleo at SLS Las Vegas will be serving brunch dishes for Mother’s Day including an assortment of breakfast pastries, freshly made muffins, longaniza hash with poached egg, spinach and piquillo béarnaise, and more from 10 a.m. to 4 p.m. Moms will get a complimentary mimosa and can also enjoy $12 bloody Marys and passion fruit bellinis. 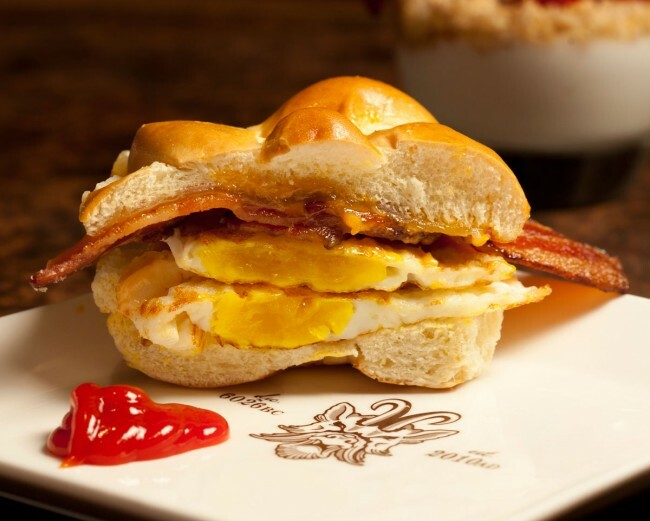 Cleo’s brunch menu is priced at $45 per person, excluding beverages, taxes and gratuity. db Brasserie at the Venetian will celebrate mom with a special three-course brunch for $45. Guests can choose from a first course featuring French onion soup, salmon rillettes and heirloom beets. Savory second course offerings include eggs Benedict, crispy duck confit hash or spring pea spaghetti. 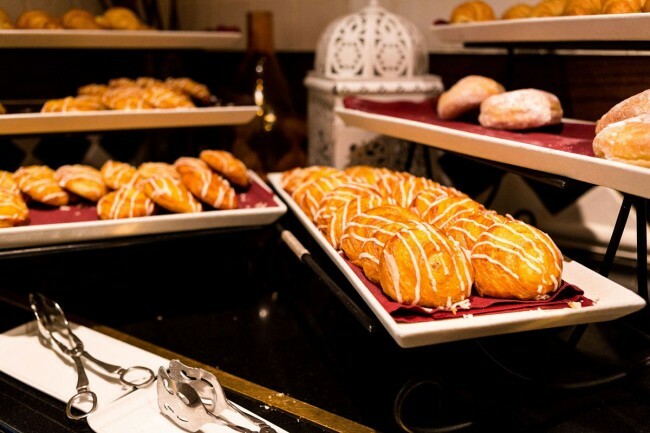 The brunch is capped off with delicious desserts including madeleines, profiteroles and caramel chocolate fondant. Head out to the Westin Lake Las Vegas Resort for a nice view of the water and a special Mother’s Day champagne brunch at Rick’s Cafe from 10 a.m. – 3 p.m. The brunch will feature seafood selections, a Mediterranean bar, signature breakfast dishes, kids’ selections and sushi bar. Don Vito’s at South Point will serve a three-course menu and a complimentary glass of wine selected by the restaurant sommelier for $39 per person from 4 to 9 p.m. Start with tomato mozzarella tart in a puff pastry shell; tuna crudo with avocado accompanied by pasta chips; or Italian wedding soup. 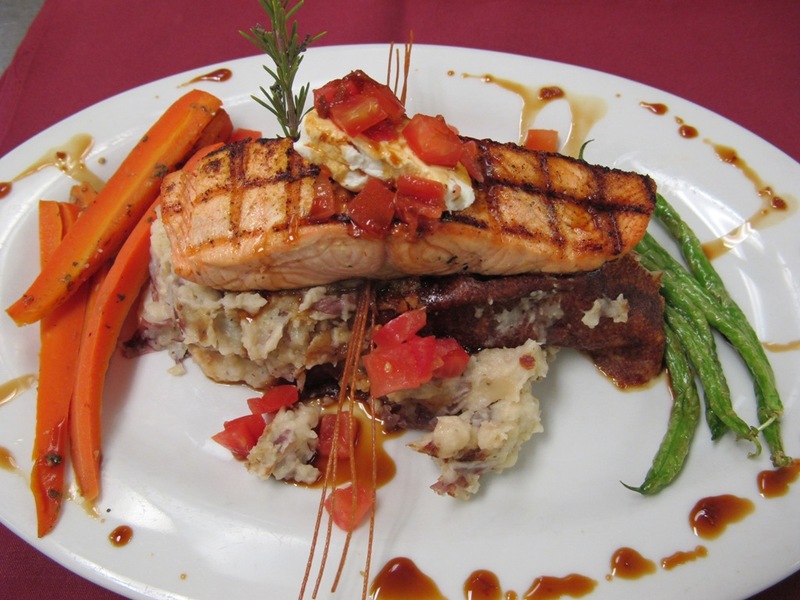 For an entrée there’s a choice of crispy salmon, escallop of chicken saltimbocca or skirt steak with fire roasted Italian hot peppers stuffed with provolone. For dessert enjoy either chocolate marshmallow cannoli or raspberry cheesecake. Mercadito at Red Rock Resort will serve a $30-per-person sharing menu including four brunch entrees for the table plus one cocktail under $10 (per guest). Two-hour bottomless mimosas are available for an additional $25. Moms enjoy one free mimosa. N9NE Steakhouse at the Palms is serving Mother’s Day including pork cheek Benedict for $19; Waldorf salad for $14; black truffle risotto with Parmesan cheese, mascarpone cheese, freshly sliced truffle and red wine for $22; wild striped bass for $39 and pierogies with Yukon gold potatoes, sour cream, white cheddar cheese and melted onions for $12. If mom likes buffets, treat her to the champagne brunch buffet at TI. In addition to regular menu items, The Buffet at TI will celebrate Mother’s Day with a selection of mom’s favorites including maple smoked salmon, mesquite smoked ham, lobster ravioli, warm fruit crepes, white chocolate cake with raspberries and more. The buffet will run from 7 a.m. to 4 p.m.
Let Hash House A Go-Go at the LINQ do the cooking on Mother’s Day. Specials include Margie’s Famous Crab Cake Benedict; Stella’s Favorite Strawberry Frosted Flake Pancake; Andy’s Mixed Grill (boneless certified Angus steak, chicken breast and grilled pork tenderloin all served on griddled sweet corn mash and topped with barbecue cream) and grilled salmon. Yardbird Southern Table will be serving Mother’s Day specials all day. Toast to mom with the restaurant’s specialty Mother’s Little Helper cocktail – a blend of blood orange puree, watermelon juice, white peach puree, peach schnapps and sparking moscato for $13. The restaurant is featuring a three-course meal for $45 with a first course choice of heirloom tomato salad or a fried green tomato BLT. Second course offerings include a choice of ham, beans & potatoes or BBQ smoked chicken. The meal is complete with a strawberry & Southern peach cheesecake. Treat mom to dinner in style at Katsuya at SLS Las Vegas. The restaurant is celebrating motherhood with a “Love Ya Mom” specialty cocktail made with Prosecco, St. Germain and raspberry ($15) and a complimentary takeaway gift of chocolate “geisha lips” for all moms. La Cave Wine & Food Hideaway at Wynn Las Vegas will offer brunch to celebrate Mother’s Day from 10:30 a.m. to 2:30 p.m. Priced at $48 per adult and $28 per child, guests will celebrate the holiday with unlimited brunch favorites. The menu includes: pancakes with berry compote, corn flake crusted brioche French toast, baked potato loaded tater tots with brown gravy, NY style egg sandwiches, eggs Benedict with chorizo, Angus mini burgers, mushroom grits and more. 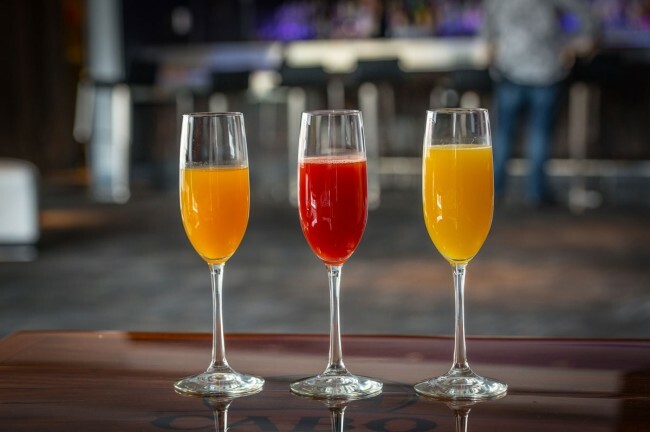 For an additional $20 per person, La Cave will offer bottomless mimosas, sangria, sparkling wine, bloody Marys, build-your-own mojitos or caipirinhas. Fú at the Hard Rock Hotel will serve an all-you-can-eat dim sum brunch from 11:30 a.m. – 3 p.m. for $22.95 per person. For $10 per person you can add bottomless Chardonnay, cabernet sauvignon, mimosas or hot sake. Menu items will include Peking duck steamed buns, steamed shrimp haw gow, Korean style pork belly steamed buns, green papaya salad with shrimp, vegan style kung pao chicken, beef kimchi with fried rice, green tea crème brûlée and black sesame donuts with mango curd filling and more. HEXX Kitchen + Bar at Paris Las Vegas will celebrate Mother’s Day with a complimentary mimosa or glass of sparkling wine for mothers and grandmothers. To go along with their drink, moms can choose from a breakfast menu that includes eggs Benedict, quiche, brioche French toast topped with powdered sugar, cinnamon and maple syrup; and fresh seasonal fruit served with banana nut bread. 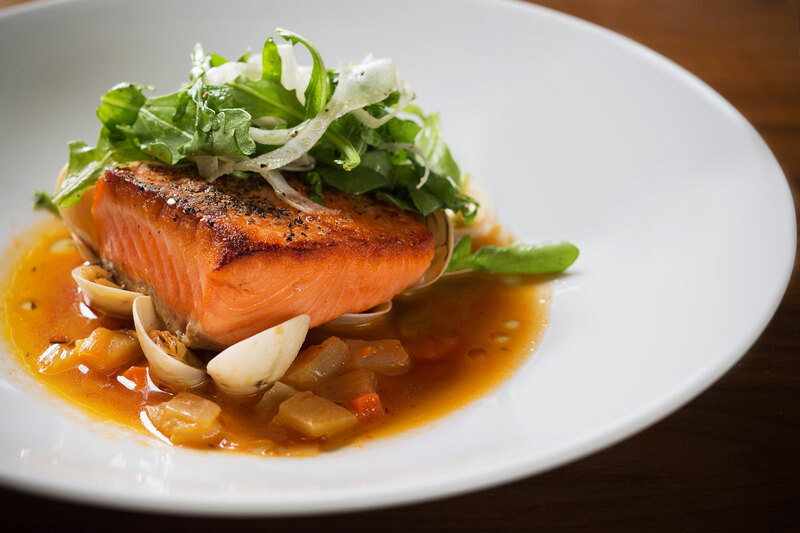 For lunch or dinner, HEXX offers signature selections including a cheese and charcuterie plate, grilled king salmon and pappardelle, tossed with wild mushrooms, baby spinach, portabella cream and Parmesan cheese. Trevi, located in the Forum Shops at Caesars, will offer a four-course prix fixe menu for Mother’s Day. The meal priced at $60 per person will start with Caesar salad or a salad of fresh field greens. Then it’s on to bruschetta or calamari fritti. For an entrée, moms can choose between fettuccine pollo carbonara, or salmon piccata. For dessert there’s chocolate gooey cake, loaded with a hot fudge center and accompanied by a scoop of vanilla gelato and fresh raspberries. All mothers will receive one complimentary bellini with purchase of the prix fixe menu. Carmine’s in the Forum Shops at Caesars is offering several specials for Mother’s Day including sea bass cioppino for $59.50; and a spring salad with fruit for $29.95. 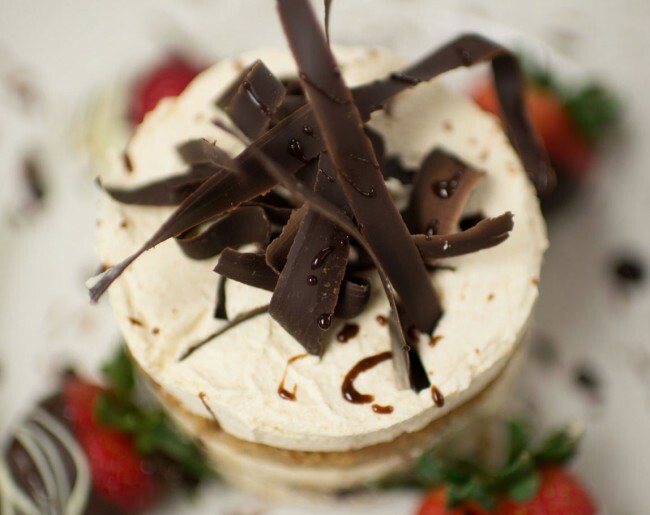 Save room for the tiramisu Napoleon with chocolate covered strawberries $19.95. Pot Liquor Contemporary American Smokehouse at Town Square Las Vegas is celebrating Mother’s Day the Southern way with grilled bacon steak, smoke house hash, chicken fried steak and pulled pork and waffles. Moms who visit Pot Liquor on Sunday between 11 a.m. and 3 p.m. can receive a free brunch entrée with the purchase of an entrée. Brunch is priced at $19.98 with choice of one endless bellini, mimosa or bloody Mary or $12.98 without alcoholic beverages. Enjoy all of the fabulousness of Buddy V’s buffet-style Sunday brunch with added items just for mom. In addition to the regular items, the Italian restaurant from Cake Boss Buddy Valastro will feature: Nonna’s pancetta and fontina biscuits, spring vegetable antipasto salad, grilled chicken, mushroom and artichoke stromboli and lemon cheesecake lollipops. Brunch will be served from 10:30 a.m. – 2:30 p.m. and is $39.95 per adult or $14.95 for kids under 10. 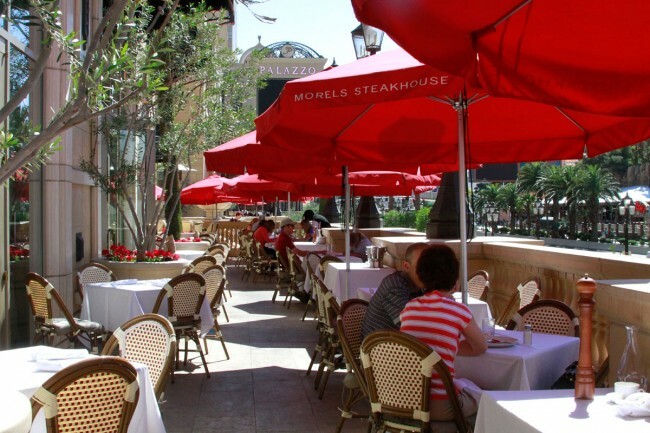 Morels French Steakhouse & Bistro at the Palazzo will offer each mom a complimentary champagne to go with brunch specialties including quiche Lorraine, crab Benedict or banana and strawberry crepes. The specials run from 8 a.m. – 4 p.m.
Du-Par’s Restaurant and Bakery at the Golden Gate Hotel & Casino will feature a Mother’s Day special for $25.95, which includes pepper crusted New York steak in a mushroom Cabernet reduction, Yukon mashed potatoes, grilled asparagus and corn chowder. For dessert there’s a slice of Du-Par’s famous fresh pie. It’s not that warm in Minnesota. I know this from spending half my life freezing in the northern part of the state. So 20 years ago, I decided to thaw out and traded in scarves and mittens for tank tops and flip-flops (Take that, polar vortex!). I swapped snow for 300 days of sun a year. I may not have been born here, but there are hotels that haven’t lasted in Vegas as long as I have. The Sands, Hacienda, Aladdin, Desert Inn and the Stardust too. I've been to my fair share of implosion parties. (Yeah, that’s a thing.) As a writer for Vegas.com, I've applauded hundreds of shows, explored every major hotel in town and raised a few glasses at most of the city's bars and clubs. Now I'm the resident foodie here. I write about all things dining — from $3.99 shrimp cocktail at the Golden Gate to the finest sushi at Nobu, and everything in between.